The 2019 Ice Hockey Women’s World Championships will take place next Wednesday in Beijing. It will be big challenge for the hosts team China, and also for new coach Jakob Kolliker. The 65-year-old Swiss began as the head coach of the Chinese team less than a month ago. His task is to lead the world number 20 team to make a difference on their home court at the 2022 Winter Olympics. China’s national women’s ice hockey team has played at three Winter Olympics, and made it to fourth place in 1998. However, the team failed to make it into the 2018 Winter Games. 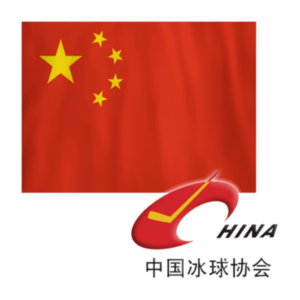 “China have a good history in ice hockey. They have had very good Winter Olympic tournaments in the past,” said Kolliker. “Every moment counts, and we also have a plan for Olympics,” said Kolliker. Chinese women’s ice hockey clubs have been playing in the Canadian Women’s Hockey League (CWHL) in recent years. In 2018-19 season, the Kunlun Red Star franchise was rebranded as the Shenzhen KRS Vanke Rays as part of integrating the CWHL’s two teams in China. The new team finished the season in fifth place in the seven-team league. Most players in this team have been playing overseas, but more quality chances to play are needed. China is going to fight strong teams including South Korea, Poland, Kazakhstan, the Netherlands and Latvia. Four of the five teams have higher world rankings than China. “We just want to try our best,” said Chinese veteran Wang Mengying who will experience her eighth World Championship. China will take on Latvia on the opening day of the tournament. “If we work hard, China will have a good chance in the future,” said Kolliker.